I purchased this gorgeous cattleya orchid at the NCOS Orchid Show that is on this weekend in Washington D.C. The large spotted waxy flowers held with their heady fragrance proved to be irresistible. There were about ten of these in bud or bloom being sold by Orchid Enterprise and most of them were snapped up quickly. I think you can see why. While even the campiest of orchids take a break in the summer, not so the brassias orchids. These spidery giants of the orchid world that hail from central and south America seem to revel in the summer heat. Here are some photos of our brassia orchids on bloom. These photos are from last summer. The flowers were about 18″ from top to bottom! They also have a light spicy fragrance that adds to their allure. 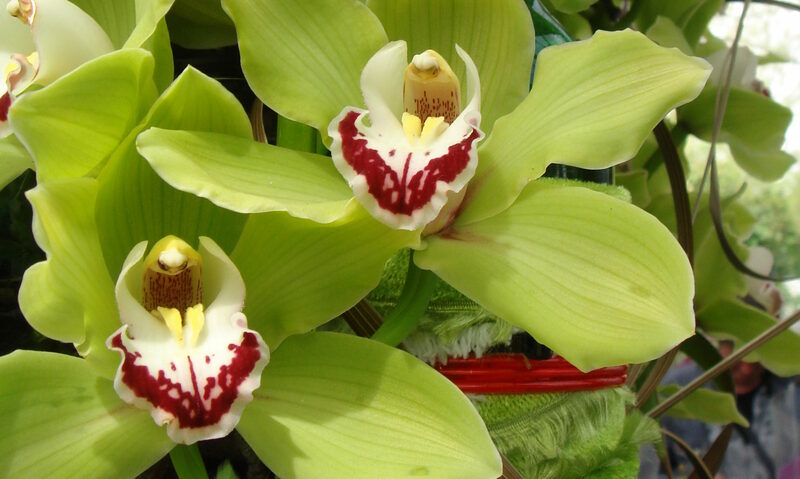 Learn how to grow brassia orchids.